CLEVELAND (Ohio) • LeBron James expects his Cleveland Cavaliers team-mates to step up their game when the National Basketball Association (NBA) Finals move to the Quicken Loans Arena today (Singapore time), a boost his team will need to avoid falling into a 3-0 hole in the best-of-seven series. He was sensational in the two losses to Golden State on the road in Oakland but, despite scoring 51 points in Game 1 and having a near triple-double in Game 2, he has mostly been a one-man army. "I always believe the role players play much better at home than they do on the road," James told reporters in Cleveland on Tuesday. "They feed off the crowd. They feed off the familiarity with not only being home but being on their home floor, having their own locker and things of that nature. "So I think that's definitely helped us out a lot throughout this post-season." James has good reason to think the Cavs will be better when the ball goes up on their home court, where they have dropped only one game this post-season. 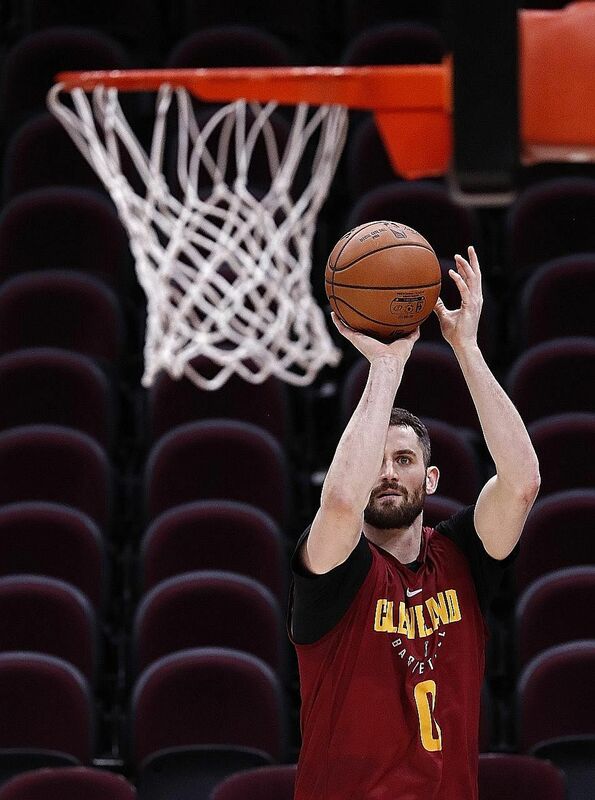 21.5 Average points for Cleveland's Kevin Love, LeBron James' main supporting cast, in the first two games of the NBA Finals. Cleveland coach Tyronn Lue said the team understand the series will be a short one if they cannot win at home. "We've got to take care of home," he said. "We've done a great job of playing here throughout the course of the play-offs. "The Warriors took care of their home court. They won two games on their home floor. "Now we've got to come back and do the same thing." Golden State, however, will not be unfamiliar with Quicken Loans. This is the fourth consecutive year they are battling Cleveland in the NBA Finals and they are aiming for their third crown. "We know how Cleveland plays here, with a lot of energy and force. We understand how hard it is to win in this building," Warriors guard Stephen Curry said. "And no matter what has gone on in the series, when you change venues, you've got to reassert your dominance and try to find that right momentum to start." Both James and Curry also agreed on Tuesday that whichever team win the championship, they will skip the traditional White House visit to celebrate with United States President Donald Trump.